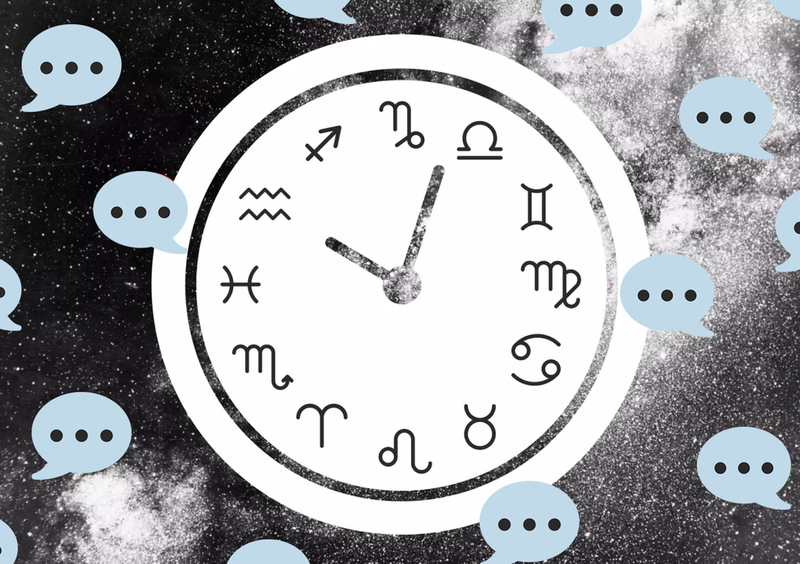 Your HelloGiggles horoscope, April 8th to 14th: It's time to begin, isn't it? We’re going through a weird time, guys. The end of Mercury Retrograde is near, but its reign is still affecting us now. We’ve also recently dealt with the emotions caused by a full moon, which means we’re now in the waning phase, which pretty much explains our lives right now. Luckily, our weekly horoscope can help us figure it all out. Things are winding down in the Universe. Aries season is over next week (so is Mercury Retrograde) and then we welcome in a new moon. So as we get ready for more endings and new beginnings, now is the time to tie up loose ends and let everything around us flooooow. Slow and steady wins the race, bbs. Here’s what the stars have in store for your weekly horoscope. You’re concentrating on your next plan of action, Aries. You’re putting the plan together, the pieces in place, but still there’s something missing. What is it? It’s called TRUST. You’ve gotta trust yourself and trust the Universe because, ultimately, we can’t control our lives as much as we’d like. You’re feeling all kinds of uncomfortable, Taurus, and believe it or not this is a good thing. You gotta stretch yourself in order to grow. Sometimes that means taking risks. Sometimes that means establishing boundaries. And sometimes that means saying yes to the new hottie in town when they ask you out. Things just aren’t going your way, Gemini. Blame it on Mercury Retrograde. As much as you’d like to talk your way out of something or try to steer a project in a new direction, you’re going to end up hitting tons of resistance. Your best bet is to lay low and wait until next month when you’re in the clear. You’re doing some major renos on your soul right now, Cancer. You might not like it, but the Universe is placing difficult people and situations in your life so you can learn to finally own who you are and stand in your truth. You don’t have to be scared or ashamed anymore. Heal thyself. Can you let go of your judgments this week, Leo? Because if you can stop the constant critical chatter in your head (whether you’re talking about yourself or others), then you’ll finally be able to open yourself in new and beautiful ways. This can only bring in good things. You could have a super comforting talk this week, Virgo, that will do both parties a world of good. Maybe it’s finally having *that* talk with an ex, or maybe it’s a reassuring pep talk with a bestie. You like to put up a good front, but inside you’re warm and fuzzy. It’s okay to show that once in a while. You’re taking things nice and easy this week, Libra. Good on you, because this is exactly what the Universe wants you to do. You might second-guess your chill attitude — especially when those around you are acting stressed — but you do you, babe. Cuddle a puppy and enjoy! Chances are you’ll encounter some crabby people this week, Scorpio. Though your first instinct is to sting them right back, you’ll only be adding fuel to the fire. Instead, do the opposite and flip the script. Be the happiest and most loving person to those unhappy people. You’ll both feel better! Finally! You’re in for some good news this week, Sag. Maybe you’ll receive positive feedback on a long-gestating project or maybe you’ll even receive a surprise treat from a loved one. Whatever it is, stay grateful and pay it forward. Keep that positive energy going — we could all use it right about now. You’ve suffered some bruises to your ego lately, Cappy, and now the stars are going to take care of you. Think an easy breezy flow to your life that will instantly lift your spirits. There’s only one catch, though: You have to actually go with the flow. The flow won’t force you along. You must let yourself go in order to feel the good. You can do this! You’ll want to spend more time alone this week, Aquarius, and who can blame you? The energy is still tense (thanks Mercury Retrograde), so if you find yourself getting nowhere with projects or people, then your best bet is to simply retreat. Read a book, indulge in some self-care, and come back next week. Don’t freak out if you’re a little forgetful this week, Pisces. Mercury Retrograde can mess with our heads sometimes. Which is why being mindful now and totally present with whatever you’re doing will be such a huge help. Commit to a regular meditation practice for an extra push. You’ll be glad you did! Truth talk: The energy this week is going to be a liiiiittle weird and jarring. But if you choose to accept what is rather than resist the vibes around you, then you’ll be on your way to beautiful things this spring. Until next week, bbs!